Everyone! Kids’ Club was honored today to receive a generous donation from Tarry Crest Swim & Tennis Club from funds raised at their revived Ladies’ Member/Guest tennis tournament. 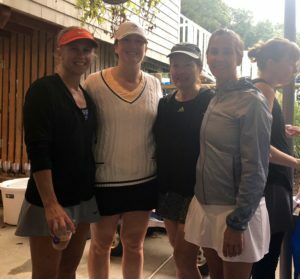 Despite some raindrops, it was a fun day of tennis, trivia, raffles and socializing. We truly appreciate being chosen as the beneficiary of this fundraising effort, and look forward to directing these funds toward valuable community programming so that even more children can enjoy healthy, recreational opportunities in Tarrytown and Sleepy Hollow.